So I am thinking that I am not alone in my feeling the need to get fit. I think for most of us it is a consistent rollercoaster in our lives. 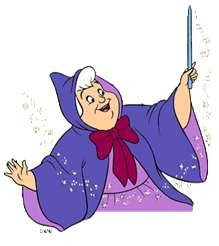 Almost 9 years ago I weighed 122 and had a 23 inch waist.....I realize that will never happen again unless I steal the fairy godmothers magic wand. I fluctuate between 160 and 200+ (always after I have had a baby) then I will drop down 25+ pounds then I will gain and back and forth and so on. I have been doing research to see how much one should work out, just in general. From what I have found they say (they meaning the CDC) that adults get at least 150 minutes of moderately intense physical activity each week. They say your activities can range from going for a walk or a jog to working out in the gym. Well lets just say you take the weekends off so that would leave us with just 30 minutes a day. Easy-peasy right? Well if it were we all would already be doing it. Heres where my Loosing Flab Challenge comes in. I am giving y'all one week to get ready and plan, start streching and getting mentally prepared. NO we start today! I know that there is a holiday next week and if you cannot muster taking 30 minutes out of your day then add the 30 minutes onto the other 4 days! Write down your measurements or at the very least your weight! You will want to keep tabs on your progress. I plan to do this for the next 3 months (at least) but my challenge is for anyone out there to do it along with me for 3 months and see how far we can get together! Remember to drink plenty of water and make healthy food choices!! Monday morning will be weigh in time - feel free to post info in comments section as we go! I weighed in this morning.......209! I'm in! My weight 149.1 (this is a gain of 7 lbs for me) I also did my 30 minutes with a C25K app on my Ipod! !